While we are super stoked that Shadowman is making his triumphant return to comics come November I have been wondering if Quantum and Woody would also be getting a reboot. Unfortunately a reboot doesn’t seem to be in the cards as Valiant has instead decided to simply send out digital versions of the original series. While you wait for you new digitized Quantum and Woody comics be sure to learn all about Black Superhero Quantum here and read our review of the very first issue here. 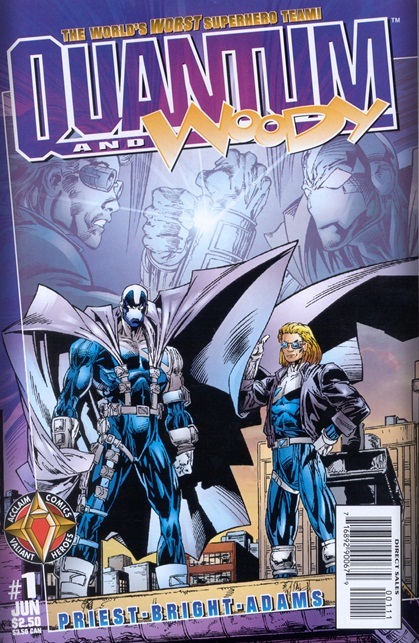 On another note would you want Quantum and Woody to be rebooted without Christopher Priest involved? Yes!!! Can’t wait for a Q&W reboot.